At the Shed, we really do Give A Cup! Which is why every time you buy a box of tea fuso bags, we donate tea directly to homeless shelters across the UK. 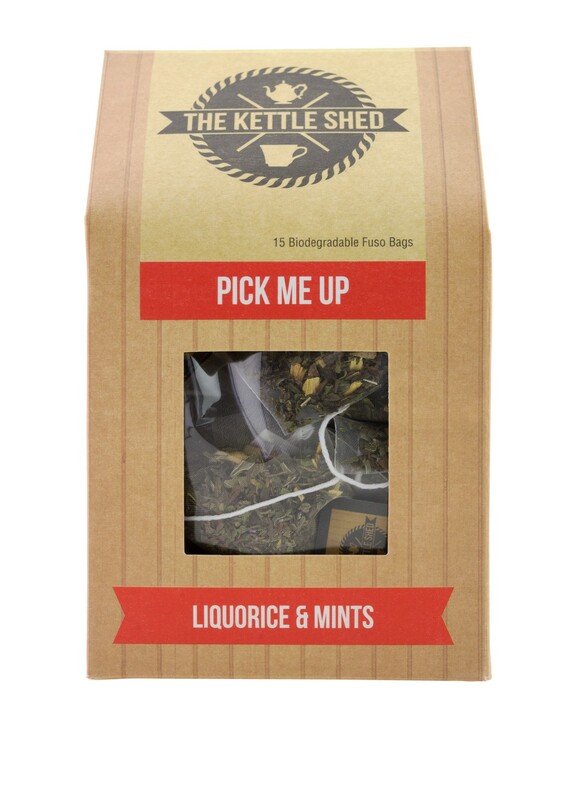 All about Pick Me Up: We have blended traditional peppermint, renowned for its digestive properties, with tangy, cooling spearmint and sweet, comforting liquorice for the ultimate in herbal pick-me-ups. 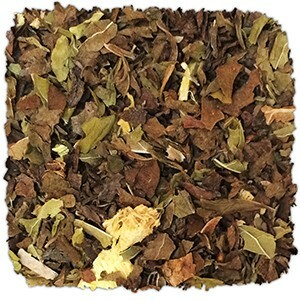 As well as being an excellent digestive, this blend can help to clear your head, soothe your throat and settle your stomach. How to drink me: Boil freshly drawn water, infuse leaves for three minutes and drink without milk. Our tea Fuso bags: Our special loose leaf Fuso bags are biodegradable. The mesh infusers are the perfect size to let your whole-leaf tea expand, releasing those delicious flavours for your delectation.